Though not as universally popular as Charlie Chaplin’s Little Tramp, master French filmmaker Jacques Tati’s creation Monsieur Hulot too remains an unforgettable character where slapstick comedy goes. Mr. Hulot’s Holiday introduced cinephiles to the friendly and polite, albeit bumbling, socially awkward and accident-prone, everyman and the eponymous character of the film. When Mr. Hulot visits a pleasant French countryside retreat for vacation, it is inevitable that mishaps will occur, and they form the basis for the immense enjoyment that the movie provides. Never one to indulge in over-dramatisation or racous fun, Tati filled the film with hilarious gags that make you laugh through their brilliant ideation, wit, subtle gestures and unadulterated humour – the brilliance of imagination and execution certainly ensured that the viewers would roll on the floor with laughter. The sequence which introduced us, and the unfortunate hotel guests, to Hulot, and the one where he decides to display his tennis skills, are acts of pure genius and parts of cinematic folklore. In fact, the movie is filled with a multitude of moments that would stay with the viewers, including even something as mundane as the opening and closing of a door! The film has very little in terms of dialogues; consequently it is more akin to the pure entertainment of silent era comedies which had to rely solely on audio-visual interplay. Tati was equally memorable as an actor, as he himself played the perennially pipe-smoking, unwittingly clumsy and thoroughly indelible protagonist of this astounding masterpiece. 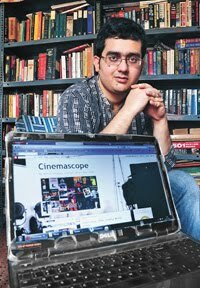 Yes, Shubhajit, this is one of the most venerated screen classics are for some the most memorable appearance of this incomparable silent era-patterned clown. True, Tati is not the equal of Chaplin nor Keaton, but he's a genius nonetheless, and his modest output rewards re-viewings. I recently saw MON ONCLE at the Forum, and am hoping they give both this film and the masterful PLAYTIME a run in the near future. But you've nailed it here with your splendid description of Hulot, and the unusual "soundtrack." I'm a huge Tati fan and will be posting a review of one of his films in the near future. I find his work fascinating in that scenes can be funny in multiple ways depending on what you're looking at. It's beautiful comedy that relies on careful orchestration. Nice take on this. I just ordered this on blu-ray and can't wait to revisit! PLAY TIME was my first Tati and I laughed out loud and felt a joyish rush, much the same way Chaplin's CITY LIGHTS affected me. Tati's films make me feel good to be alive. Thanks Sam for the good words. Yes, it is impossible for even a genius to equal Chaplin. So Tati never even tried imitating or emulating him. Consequently Mr. Hulot is a distinct creation that is Tati's & Tati's alone, and one of the great movie characters. Yeah, I hadn't mentioned in my review, but the film's soundtrack too was really nice! Great to know that you got to see Mon Oncle & Playtime recently. I too intend to watch them soon. Thanks Alex. 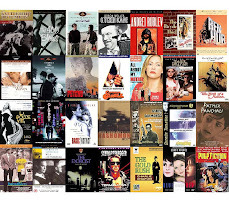 Yes, there's a sort of vibrancy in the film that does give one the feeling of being alive. 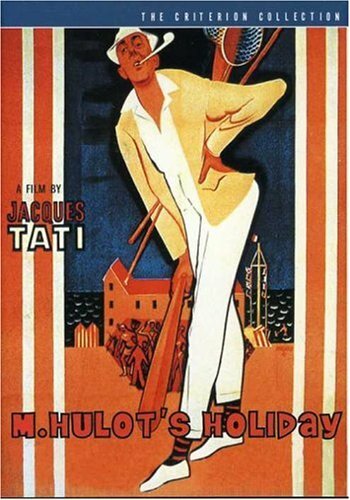 Interesting to know that you started with Playtime, the third movie in Tati's Hulot series.